Don Ross, a private pilot and engineer, started building model airplanes in 1942 when he volunteered to help with the US Navy's "Spotter Model Program." The idea was to construct carefully carved solid pine models of enemy aircraft that were then painted black. After being checked for accuracy by a Navy representative who came to the schools, the models were sent to the Navy to be mounted in the wardrooms of Navy ships to help sailors and airmen quickly identify enemy aircraft. Don worked in the aircraft and instrument industries and eventually ran a company that made nameplates, dials, and other marked items for various industries. His business was known as a "short run" company, specializing in small orders needed in a hurry. Since he wrote all the job sheets for the shop, he became quite practiced at explaining complicated operations to a work force that spoke several languages. Don designed the rubber powered "Canarsie Canary" for beginners, of which thousands were built and successfully flown by rank beginners, and it became an immensely popular project for clubs and scout groups. A video titled "Silent Magic" shows how a group of 20 eleven-years-olds built and flew the "Canary" in a large indoor venue. Most of the models flew for 25-30 seconds, exciting spectators as well as the kids. In 2003 The National Free Flight Society chose the "Canary" as its "Beginner's Model of the Year." Don's "Fledgling" classes have added scores of young and "retread" modelers to the active scene. 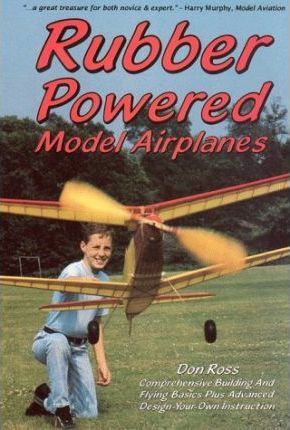 Don also wrote a column for Flying Models magazine for many years, and his designs have appeared in various magazines. He specializes in "synthesizing" difficult technical information into simple, straightforward how-to basics that make experts out of rank beginners.